For one of the oldest settled neighborhoods in Los Angeles, Highland Park feels youthful. One resident captures the neighborhood perfectly by describing it as “… (having) just enough grit to give it that New York in the late 80s, early 90s excitement. You feel like you are part of a movement of creativity living here.” And with a steady stream of boutiques, foodie attracting restaurants, and décor driven store fronts it’s no surprise it was crowned LA’s greatest neighborhood. Thanks to the Arts and Crafts movement the tree lined streets of zip code 90042 are filled with craftsman style architecture and CA bungalows. And much like its neighbor, Eagle Rock, mid-century modern homes are few and far between. Ironically, the financial crisis of 2007-2008 helped bring it back to life. Real estate in the area seemed like a steal at the time. Able to scoop up properties for cheap, companies like Better Shelter, ModOp, and Extraordinary Real Estate attracted house hunters out-priced in Silver Lake and Echo Park by remodeling distressed, character filled, properties. Today some streets command as much as a million dollars for a single family residence. Highland Park is considered somewhat diverse for the city and county of Los Angeles. Latinos make up 72.4% of the population in the area. Asian and Whites make up 11.2% and 11.3% followed by “other” at 2.6%. African Americans make up 2.4% of the area. The restaurant, bar, and boutique scene is blossoming in Highland Park. Here are a few local faves. This bar on York Blvd may be responsible for starting the neighborhood’s rebirth of cool. Expat bartenders of Edendale Grill in Silver Lake purchased this former dive bar and transformed this space into the neighborhood’s favorite gastropub hangout. 1933 Group is doing their “damnedest to change the face of the LA bar scene.” Their latest project is the restoration of this 1927 bowling alley. Revamping of this space not only brings fun and nostalgia back to the neighborhood it also marks a continuing trend to revitalize Figueroa Street. This is a fun fact. In a space measuring less than a 1,000 square feet the fast fashion retail store Forever 21 started, right here, in this hood. 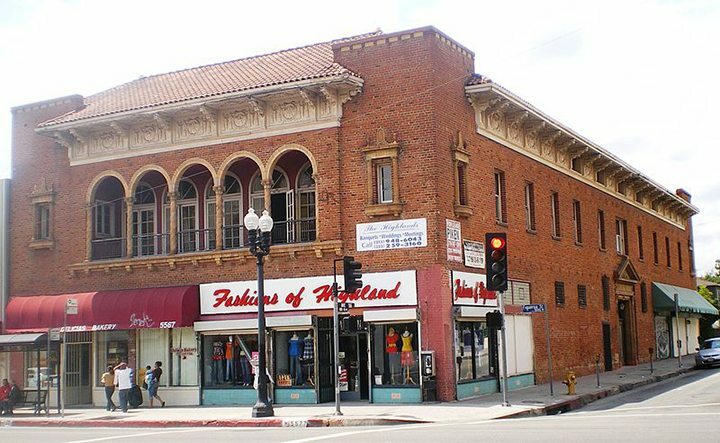 The store is still standing on Figueroa Street. 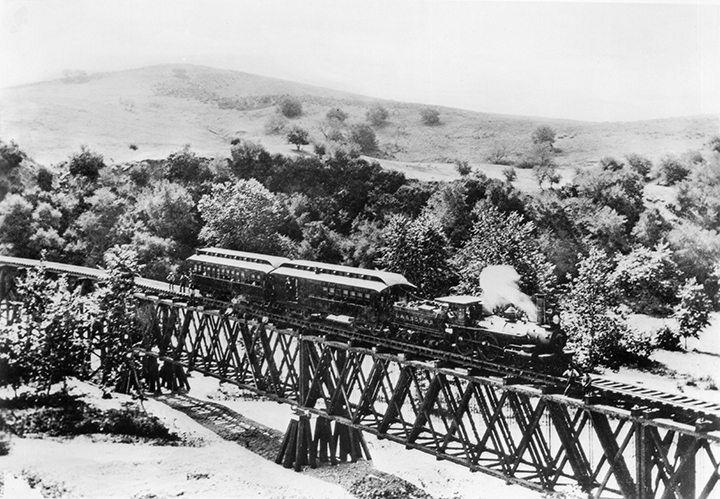 Highland Park is located along the Arroyo Seco. It is surrounded by Cypress Park, Eagle Rock, Glassell Park, Lincoln Heights, Montecito Heights, Mount Washington, Pasadena and South Pasadena. The zip code is 90042.